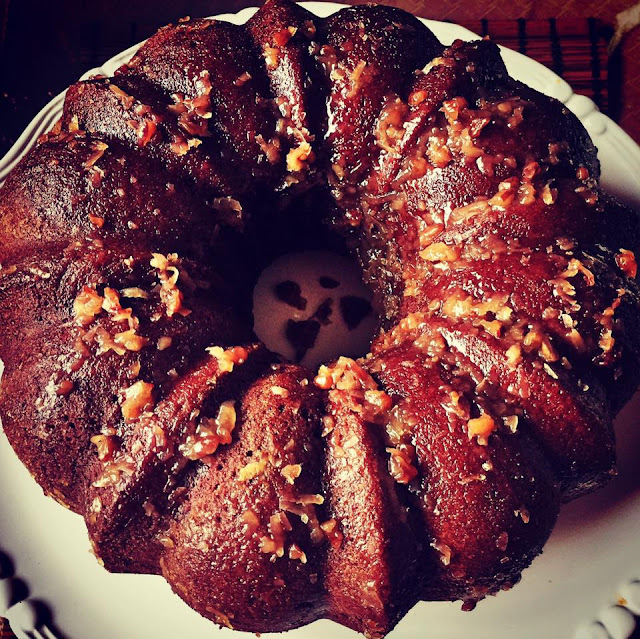 The Bestest Ever Chocolate Cake and Compliments Galore! Desi Chai Cupcakes and Shark Tank ! 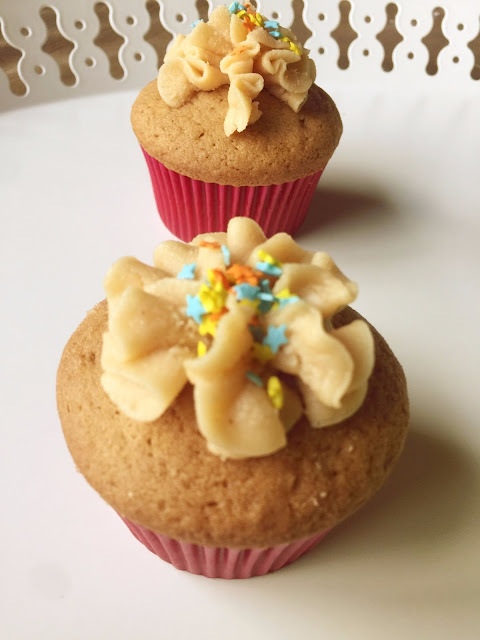 Rack your brains as much as you want but chances are extremely slim to none that you will find a connection between chai cupcakes and shark tank or even chai and sharks alone for that matter. The above statement will hold true before reading the blog post of course. Once, you have acquainted yourself with the text that follows, the mystery will be solved or in simpler terms , you might see the connection that prompted me to name the title so . You see, I long to keep interesting titles for my blog posts and when this unusual one came along in my brain , I simply couldn't ignore it . The thought that it may pique the reader's interest and this generate more curiosity for the blog post also prompted my naming it such. The mention of a genial beverage based cupcakes with a gritty business reality show is enough to raise eyebrows but here is the story behind it . 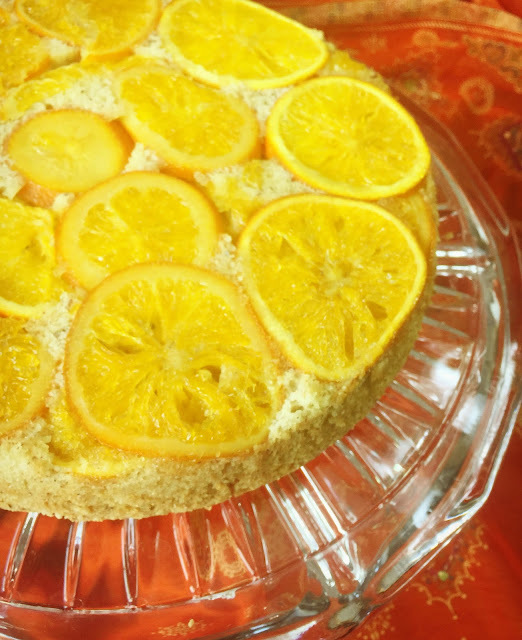 Orange Upside Down Cake and New Year Vibes ! So, brownies. Haven't done them in a while. Last brownies I remember finding themselves on the blog were the Black Bean Brownies way back in May of 2015. Now , that is a long time to go without brownies. Seriously !! Well actually, I didn't even bake the brownies then. Last I checked, my mom did. That's right. I'm not the famous Harveen Roy. I'm her daughter, Yagyesha Roy with some good old fashioned chocolate brownies.Since they are my first bake, I am going ahead and giving them a fancy name - "Smiley Face Brownies." Why this name, you ask ? The picture should give a clue. 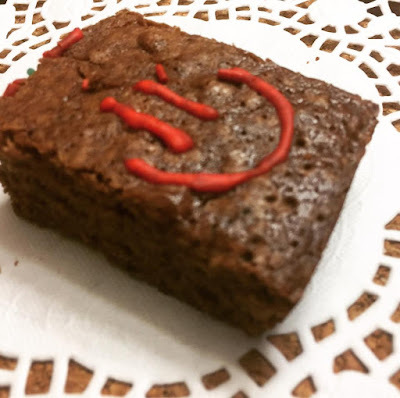 Well, there was more text on the surface of the brownies which you will come to know later but the smiley got lucky as it got to be the one which got photographed and thus found itself on the pages on this blog.